We are the supplier of laboratory grade chemicals, instruments, glassware and other accessories. In order to fulfill the demands of the customers, we are offering them an extensive gamut of Laboratory Ware. 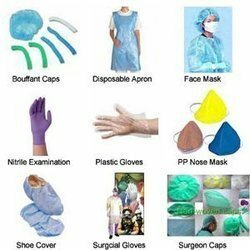 Manufactured using high-grade raw material procured from the reliable vendors of the market, these products are extensively used for various purposes in the research centers and laboratories. - Unique range of testing tools for Civilian and military RADARs from Intersoft Electronics, Begium. Selected items added successfully in Inquiry Basket!Selected items removed successfully in Inquiry Basket!